An Ancient Healing Modality was introduced to Earth in 1983. Previously, this healing was used only in higher dimensions by Ascended Masters to assist themselves, the Masters on Earth and mankind under special divine dispensation. 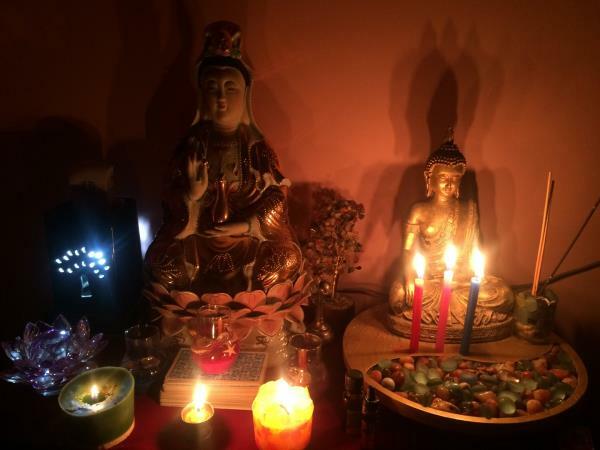 In 1992, under the direct intervention and inspiration of Lady Master Kwan Yin, Magnified Healing of the GODS MOST HIGH OF THE UNIVERSE was brought forth into its expanded form for the spiritual advancement of humanity and the earth. Magnified Healing establishes a constant flow of energy from your heart to the Source, the GOD MOST HIGH OF THE UNIVERSE, through all of the Spiritual Centers, down to the Diamond at the Center of the Earth. The link spirals and brings a deep state of grace pulsing forth from the Source, laying the very foundation for the Ascension process. The learning and practice of this process incorporates all aspects of healing, using sacred geometries, breathing, and affirmations, allowing the student to participate and then teach the process without lengthy internships. The student will get an understanding of the Hierarchy, Three-Fold Flame, spiritual centers (chakras), Karma, Violet Fire and Ascension.